Stellar PCS GmbH is a first-class teleport service provider specialized in connecting America to the Middle East, Africa and Asia. 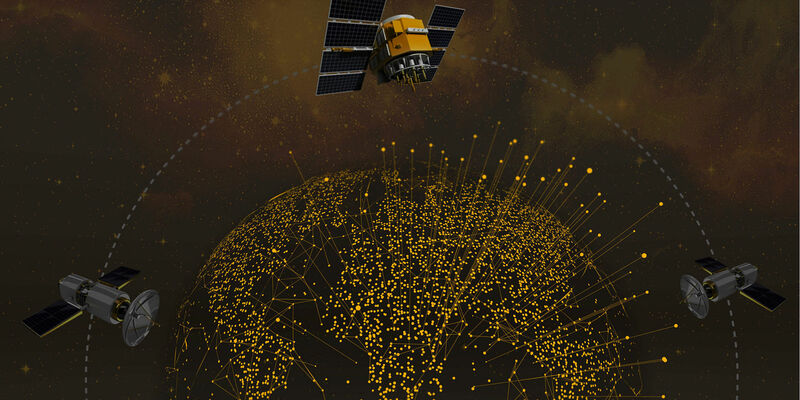 Stellar offers IP based data connectivity, TDMA VSAT solutions and even system integration such as SNG’s. These technologies enable Global Inflight Communication for aircrafts as well as for other mobile and fixed solutions. Alongside television play-out and turnaround, Stellar offers fully managed play-out services and distributes any kind of formats (such as IP TV and OTT applications) to Europe, Africa and Asia. At the moment we distribute 350TV Channels on several DTH platforms. Our DWDM fiber optic network covers nine PoP locations across the world and is complemented by our global satellite coverage. This, and our longstanding partnership with several fiber and satellite providers enable bandwidth access to all continents. Since 1998, we have become a leading innovator in the design, implementation and operation of bi-directional data and television broadcasting networks. Stellar relies on organic growth, maximizing past investment in our global infrastructure to deliver new solutions and achieve success for our customers. We pride ourselves on our long-term relationships with the many customers whose businesses have flourished with our support. Our multilingual employees, who proactively monitor and troubleshoot potential outages, are at the core of all our services. We assign a highly qualified engineer to your business to ensure that you receive the support you need. Our professional NOC and engineering support team resolve issues quickly and reliably, always maintaining direct contact with our customers.